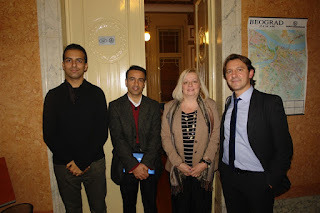 She signed an agreement together with director of Faculty of Business Economics and Entrepreneurship ,Belgrade and Faculty of Entrepreneurship,Tehran in all areas of bilateral cooperation. 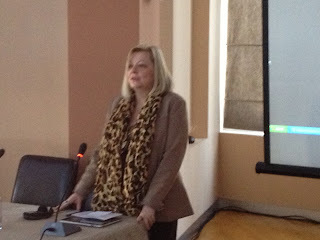 Promotion of MAP Journal, December 5,2012.
prof.dr.Mirjana Radovic-Markovic,presentation,October 10,2012.Chamber of Commerce of Serbia. 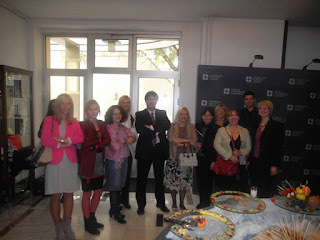 Book promotion,Chamber of Commerce of Serbia,October 10,2012. Según Mirjana Radovic-Markovic, profesora del Instituto de Ciencias Económicas de Serbia y autora del estudio Advantages and Disadvantages of E-Learning In Comparison To Traditional Forms of Learning, hay estudiantes que se benefician más con el modelo presencial y no tienen éxito con programas virtuales, incluso si estos cuentan con foros de discusión y el apoyo de un tutor. "Algunos se pierden o confunden sobre las actividades del curso y los plazos de entrega cuando no tienen una rutina definida. Se sienten aislados y sin un guía", dijo Radovic a SEMANA. 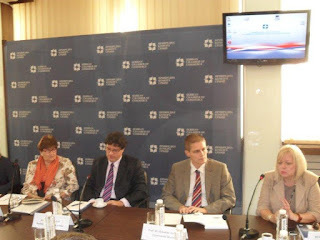 Institute of Economic Sciences ,Belgrade ,May 24 ,2012. TANJUG Žensko preduzetnišvo u Srbiji kaska za zemljama EU Žensko preduzetništvo u Srbiji znatno zaostaje za zemljama Evropske unije, a najveće prepreke razvoju tog vida privređivanja su nedostatak izvora finansiranja, edukacije i umrežavanja, ocenjeno je danas u Privrednoj komori Srbije (PKS) Žensko preduzetništvo u Srbiji nije ispunilo očekivanja u pogledu povećanja zaposlenosti i privrednog rasta, iako u proteklih nekoliko godina ima pozitivnih pomaka, ocenila je za okruglim stolom posvećenom toj temi Mirjana Radović Marković iz Instituta ekonomskih nauka (IEN).Ona je napomenula da su, u pogledu zapošljavanja, najugroženije kategorije žena do 29 godina, zbog rađanja dece i zasnivanja porodice i starije od 55 godina koje su gašenjem državnih firmi prve ostale bez posla. 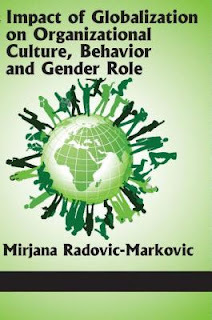 Prof. Dr Mirjana Radovic Markovic is elected to the Academic Council of Akamai University for 2012. Members are directors,co-directors, or assigned representatives from of the seven Centers for Study at Akamai University. The Council has powers and responsibilities for all academic activities of the university, including curriculum and instruction, research, academic support and outreach and recruitment. The Council oversees the quality of conduct of on-going academic programs and advises relative to elimination of existing program. It investigates and recommends new and revised academic policies and procedures for consideration and approval by the University's Board of Directors. 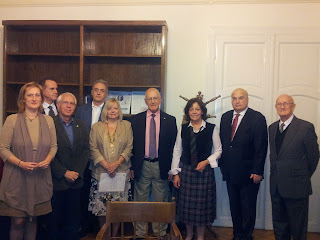 Election to the prestigious Academia Europaea in March 5 ,2012. 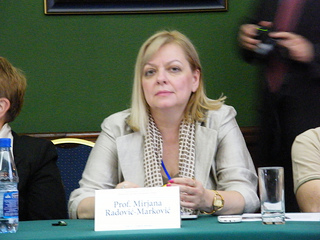 Professor Mirjana Radovic -Markovic honoured by election to the prestigious Academia Europaea in March 5 ,2012. 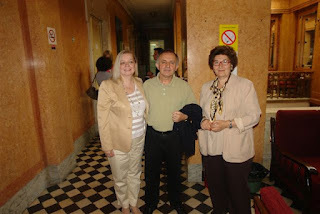 Professor Radovic -Markovic is the first woman scholar in Serbia ever to be honoured by election to the Academia Europaea. The Academia Europea was founded in 1988 as an international, non-governmental association of individual scientists and scholars from all disciplines, who are experts and leaders in their own subject areas as recognised by their peers. Members are selected by nomination from across the whole European continent, not only western Europe. 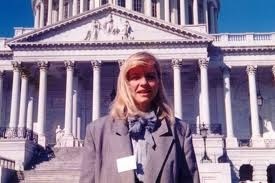 Members also include European scholars who are resident in other regions of the world. 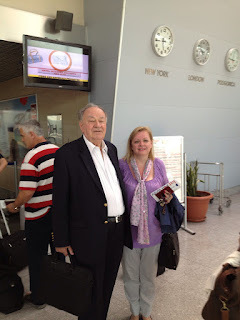 Current membership stands at around 2,300, including more than 40 Nobel Laureates. Professor Radovic’s induction ceremony will take place in Bergen next September at the Academia’s annual meeting.